Founder, designer, mad scientist and earth mama — Jennifer Lugo is the heart and soul of Verefina. 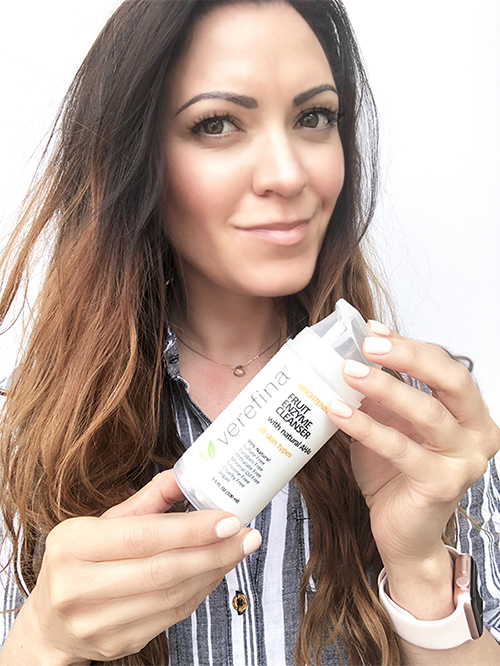 Verefina was created out of our founder’s horror in finding that the soap she was using on her babies, the major leading brand of children’s soap, was using highly toxic ingredients in their products. Just as a mama bear will stop at nothing to protect her cubs, the need to sleep and eat fell by the wayside until this mama bear solved this toxic issue for her family. During this exploratory time, Jen discovered and soaked up just about every healing modality out there. After thousands of hours of research it became apparent to Jen that even health food stores were full of products that ultimately were not safe for her children. Verefina had been born. "For me, it’s all about having the peace of mind that I’m only using the safest, highest quality ingredients on my children and myself." Here at Verefina, we hope that we can empower you with the wisdom and insight to make educated choices with your family’s health in mind. It is our promise that Verefina products will add value and improve your quality of life if you invite them and their healing benefits into your home. Each product is hand-crafted and made with a great deal of love here in Salt Lake City, Utah. Wishing you and your children health and happiness! — Jen and the Verefina team!